Home Buzz Trying to cheat Flipkart? Beware! 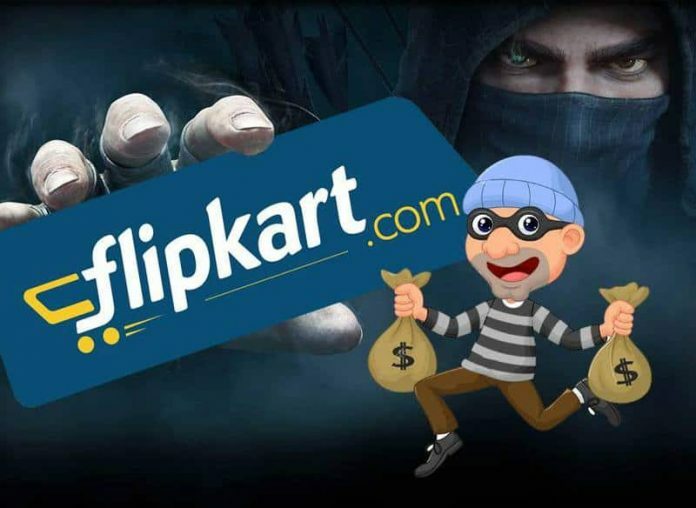 Two techies have been arrested for trying to cheat Flipkart of 50,000 by accusing the company of sending them fake products. In a bizzare and absolutely stupid incident in Hyderabad, two techies – Atul Sharma and Naveen Kumar – have been arrested after they ordered an iPhone. When the phone arrived, they returned the package claiming that it only contained paper and rubber. Flipkart, as per its policy, returned the amount that was paid. However, when the company carried out an internal audit, by tracking the IMEI number of the phone. The IMEI number revealed that the phone was in possession of Atul Kumar. There have been lots of reports in the recent past about e-commerce websites sending their customers rubber, soap and paper. The posts are popular on Facebook and other social media websites, but there is no denying the fact that if you’re trying to cheat Flipkart and other websites, you must know that the companies carry out extensive investigations about product claims.